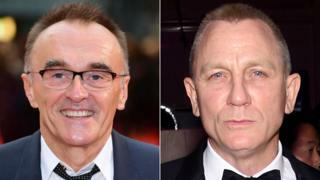 Oscar-winning director Danny Boyle is to reunite with Daniel Craig for the 25th Bond film, which is due to be released from 25 October 2019. Boyle will also reunite with Trainspotting writer John Hodge, who is creating an original screenplay. Production is set to begin on 3 December at the UK's Pinewood Studios. EON Productions' Michael G Wilson and Barbara Broccoli described Boyle as "exceptionally talented", adding they were "delighted" to have him on board. The film will reunite the Trainspotting director with Craig, with whom he worked on a short film made for the 2012 London Olympics. Donna Langley, chair of Universal, which is distributing the film in the UK and internationally, hailed "the unparalleled combination of Danny's innovative filmmaking and Daniel's embodiment of 007". In numbers: Who is the most successful James Bond? Daniel Craig is back as Bond: How did fans react? Chair of MGM's board, Kevin Ulrich, added: "We couldn't be more thrilled than to bring the next 007 adventure to the big screen, uniting the incomparable Daniel Craig with the extraordinary vision of Danny Boyle." MGM is distributing the film in the US from 8 November 2019, with Ulrich adding it had been 16 years since the company last distributed a Bond film, Die Another Day. Craig confirmed last August he would be returning to make his fifth Bond, having previously starred in Casino Royale, Quantum of Solace, Skyfall and Spectre.